The newest original production from Mexicanal, El Rayo Vida de Lucha, gives viewers an intimate, behind-the-scenes look at the life of one of Mexico’s most celebrated wrestlers. 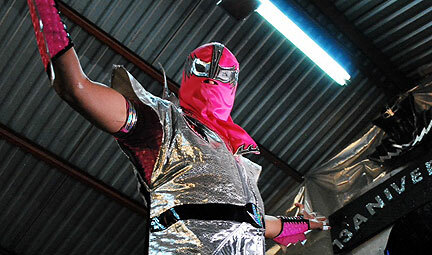 This program is set in San Luis Potosí and the Bajío region of Mexico, where lucha libre (wrestling) is a favorite sport surpassed only by soccer. “As much as lucha libre is an important part of Mexican heritage, so too are the wrestling families that bring the sport to fans, enmeshing it in the popular culture generation after generation. That’s why we endeavored to create this series, which will connect our viewership of Mexicans in the US with one of lucha libre’s beloved stars in a way they never could before...behind the scenes,” said Luis Torres-Bohl, president of Mexicanal and parent company Castalia Communications.